This is the result when old hippies make punk rock.... First of two singles by this combo. 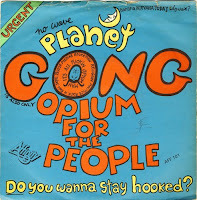 Read more here about (Planet) Gong. It's not a bad track on side a.